I was born on January 27, 1976 in Norfolk, VA, but I've been in San Diego since I was 5. I went to Elisabeth Freese Elementary, Alexander G. Bell Junior High, and Samuel F. Morse High School, graduating in 1993. I then spent five years at UCSD working towards my B.A. in Psychology, with a minor in Teacher Education, graduating in 1998. I wrapped up my first year of graduate studies in Psychology at CSU San Marcos in 2001, but have no current plans to continue in the field of psychology. I work part-time as a waiter at Fish House Vera Cruz and am currently planning to start a business as a pool technician next year (2006). I have worked previously as a server at Yakimono Japanese Restaurant and a tutor at the ASPIRE & STAR Tutoring Programs at CSU San Marcos and San Diego Mesa College, respectively. A good way to find out about someone is to ask them what their favorite things are. Here's a list of mine. Another good way is to visit their blog. Here's my Xanga. The rest of this page is devoted to my interests and friends' homepages. While slightly out of date, it still gives you a general idea of my life and personality. I hope you enjoy it!! Updated my "About Me" section, after more than two years!! Also added my Xanga blog. 9/7/05. Added new links to Fish House Vera Cruz and Yakimono Restaurant. 8/19/03. Added some pictures, in case you're wondering what I look like. 12/7/02. Updated the "About Me" section. 9/26/01. Updated the links on the "Friendlinks" page and the "Favorite Places" section. 3/16/01. I have been a big fan of the Beach Boys since my junior year of high school (1991). The beautiful four-part harmonies, the ingenious production, the savvy lyrics, the great concerts, and the constant genre-hopping make the Beach Boys' music #1 in my book. 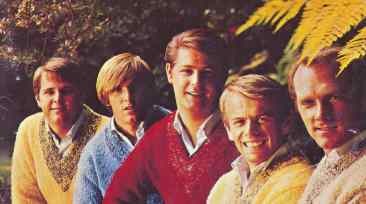 Check out my Beach Boys Page!!! The Beach Boys, circa 1965: (l-r) Carl Wilson, Dennis Wilson, Brian Wilson, Alan Jardine, Mike Love. Click here to see my Beach Boys page, which now generates over 1000 hits per month! Click here to go to my Beach Boys Setlist Archive, detailing over 800 concerts! I am a member of the San Diego Church Of Christ, part of the International Churches Of Christ. Please click here to read about how I was met and introduced to the church, and eventually baptized. San Diego is a great place to live, work and play. Here are some of my favorite places in San Diego County. Click on the Cool Sites Icon below to go to an index of my friends' homepages. See 1000 Live Cameras All Over The World!! !